© Walter's Steakhouse. All rights reserved. 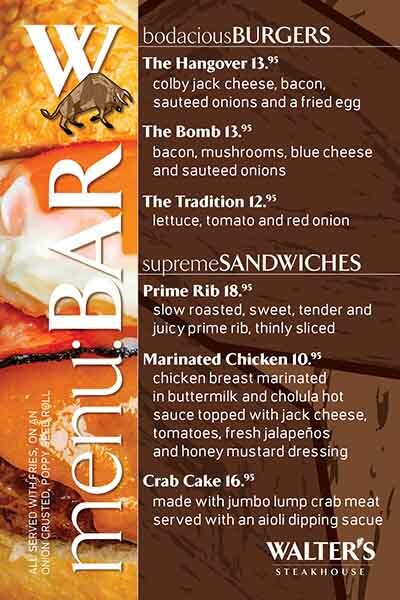 Daily specials, bar menus, menu items, prices, descriptions and availability are subject to change without notice.